Hello guys! Happy Easter to u all, hope you all had an amazing weekend? Mine was Fantastic. 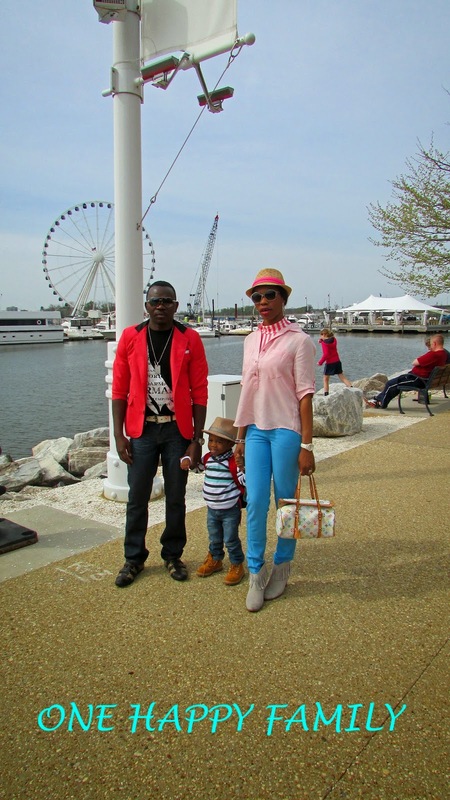 My family and I spend a quality time at the National Harbor in Maryland. This post is all about my Prince Alexzander. I thought this will be a nice opportunity to blog about his outfit. 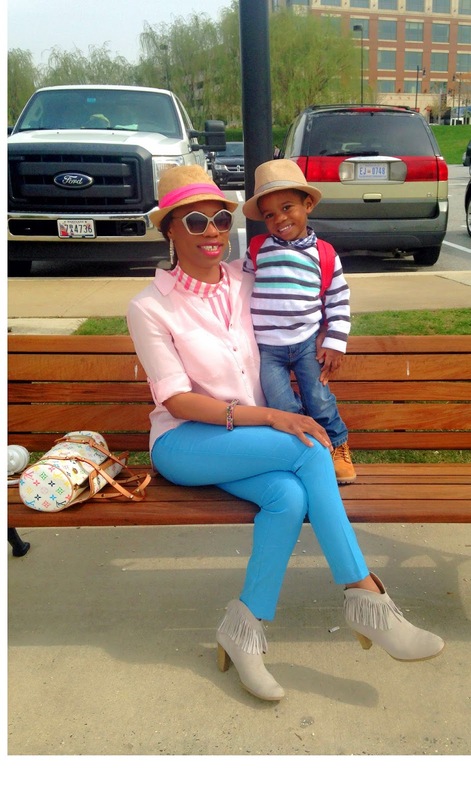 On this post, mummy took a fashion risk by mixing two different prints. (STRIPES & CHECK). 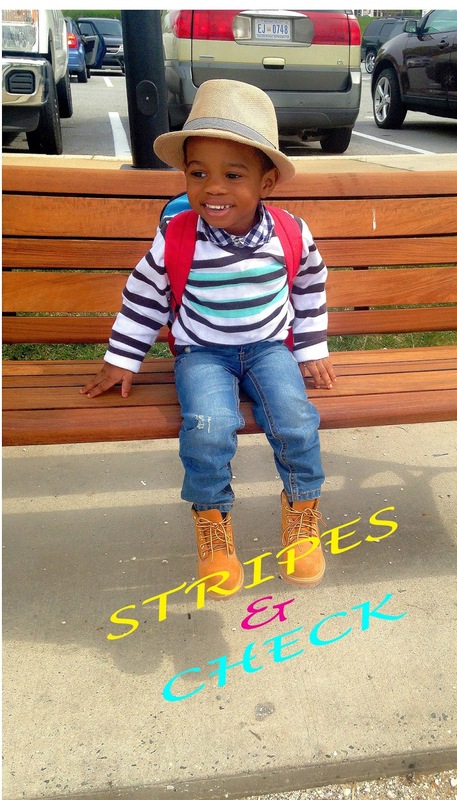 My Prince is wearing a navy blue check shirt, stripe sweater, blue jeans and a timberland boot which is a must have for many guys. 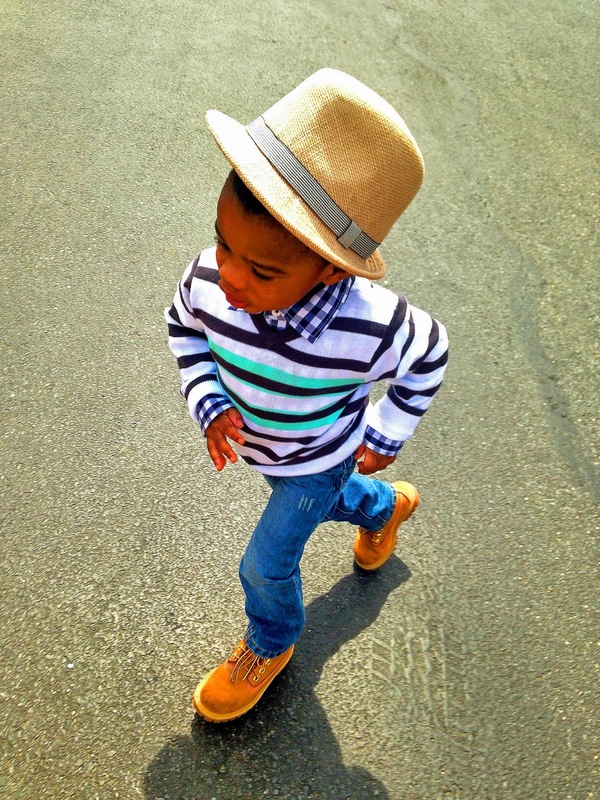 To make his look a little edgy mummy choose a brown straw hat with a stripes band. 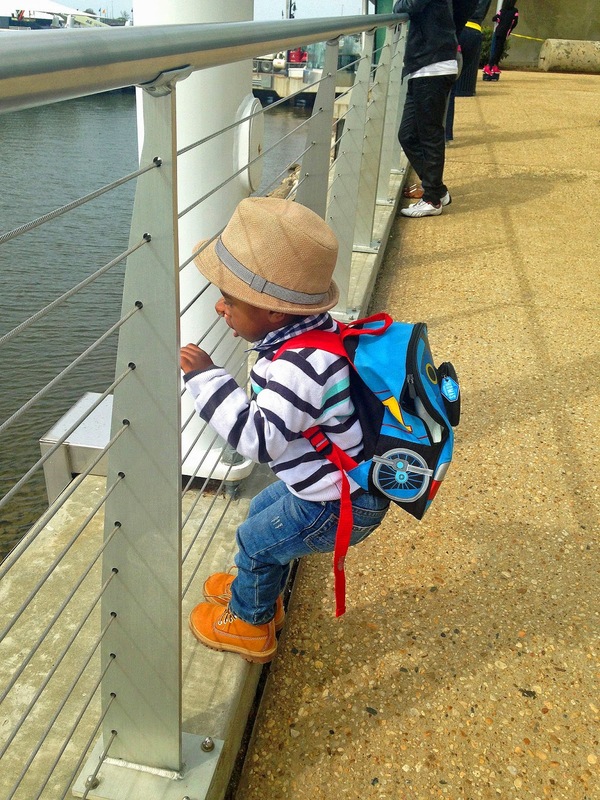 He decided to have his back pack, which I think makes him more adorable. 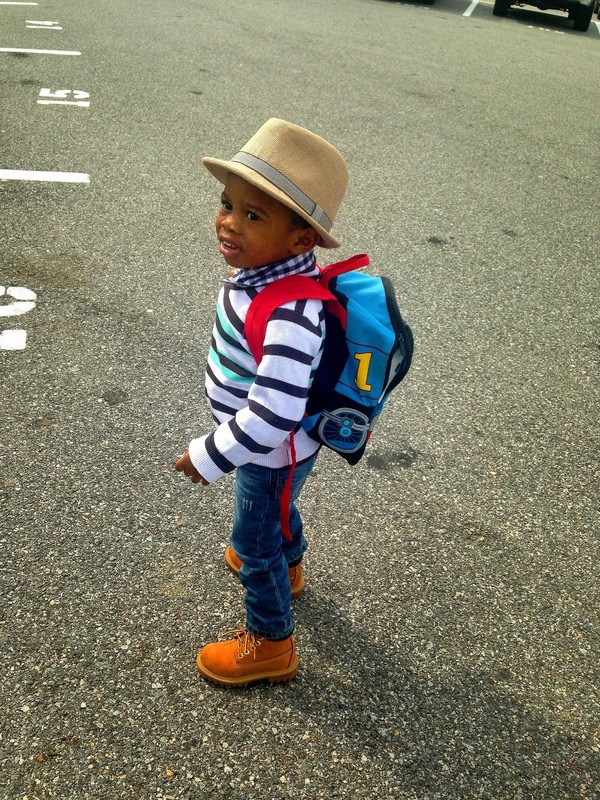 This outfit is casual but will definitely make your little guy be a head turner. And guess what? 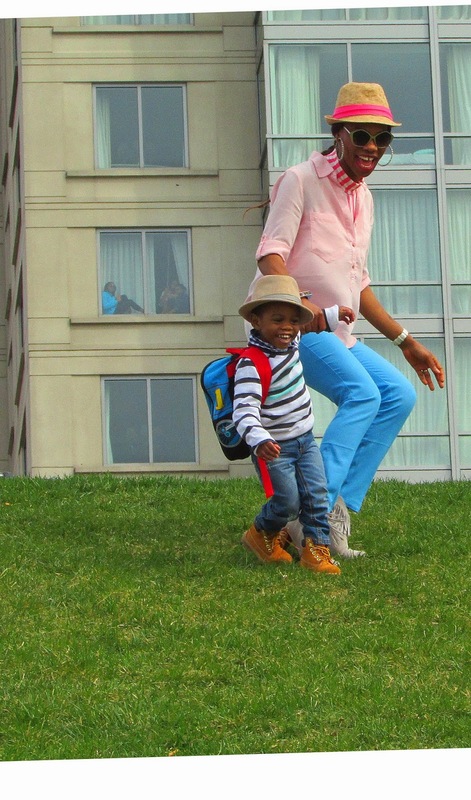 It budget friendly.I hope his outfit will inspire some parent? 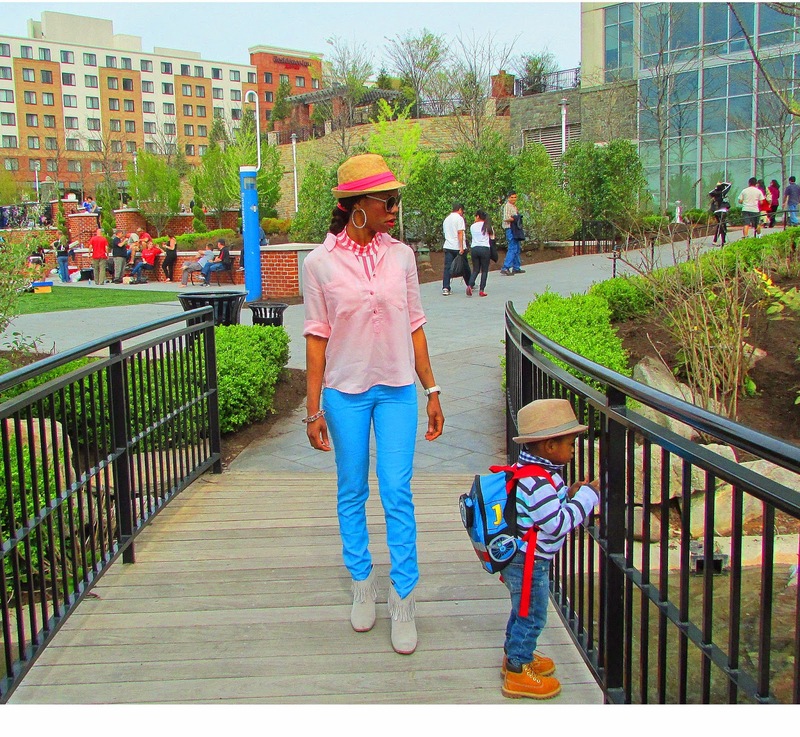 On this post I opted for a Pastel look, which is one of the biggest color trend of the season, to make the look similar with my Prince I added the stripe turtle neck top under my shirt, a baby blue pants, fringe tan bootie and a matching straw hat with my baby. Hope you like it? Thanks for stopping by. 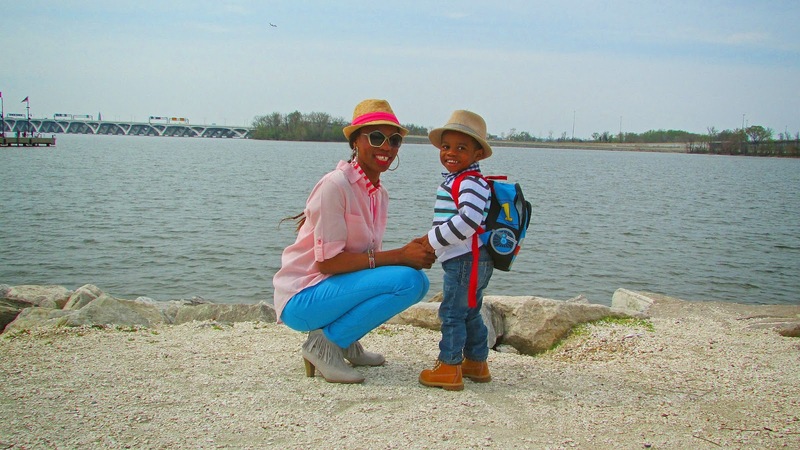 I love your son, he so super cute! I love both your outfits! Am really proud of what you are doing thanks for puting those outfits together for us. How cute one be? I want him..